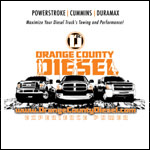 Manufacturer Info: 47RE Stage 1 Package, 1996 - Early 98 Dodge 2wd Part # 3099122188 1996 - Early 98 Dodge Ram 2WD w/ 12V 5.9L Cummins, Stage 1 Auto Trans Package. Includes: - ATS Built 47-RE Auto Trans - ATS 5 Star Viskus Clutch Drive Torque Converter - ATS Extra Deep Transmission Pan In 1996, Dodge went from the hydraulic 47RH to the partially electronic 47RE. The 47RE features steel planets as well as an electronic governor pressure solenoid and transducer. In re-designing the 47RE, ATS addressed inherent weaknesses to produce a strong, reliable transmission for towing, daily driving or racing. The result is a transmission featuring: Five Star billet torque converter Performance transmission pump Modified high performance clutch packs/bands and steels Valve body built around reliability and increased transmission life The modification process began with the torque converter. Instead of a stamped converter with a single lock-up clutch, the ATS Stage 1 47RE comes with our patented Five-Star torque converter. Utilizing a billet 12 bolt cover, five square tab lock-up clutches, a billet stator and other modifications, this converter is designed for heavy loads, years of reliability and brute power. 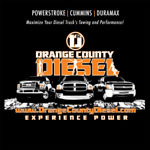 The goal is to efficiently transfer your 12 or 24V Cummins' power through the converter into the transmission. In order to handle the increased efficiency of the converter, we addressed the 47RE from bellhousing to tailshaft. The transmission's pump is modified to progressive raise line pressure, above the factory settings, to provide clamping force to the clutch packs. High-performance clutch packs are then added. Pressure plates are precisely machined to add 1 more forward and 1 more direct clutch. High performance bands, billet band strut, billet accumulator piston, and heavy duty overdrive bearings strengthen the clutch pack/band assembly. Next is the valve body. Dodge 47RE transmissions can be plagued by sticking throttle valve issues. The valve controls shift timing and fluid flow to the clutch packs. When the valve sticks, there can be a no “up-shift” condition. In time, this can wear on the clutch packs and internals to hasten the transmission's life. ATS machines the bore to accept a Teflon sleeve, this ensures precise movement and control of the valve. In addition, the valve body is modified to circulate fluid in park, reverse and neutral, capable of locking the torque converter in any forward gear, and raising line pressure vs. stock. The Stage 1 (as well as all ATS Transmission Packages) comes standard with the ATS Deep Pan. Featuring a finned design to dissipate heat, and adding five quarts of fluid vs. stock, the pan helps keep the transmission running cool. The ATS 47RE Stage 1 is designed for trucks with stock to mild power increases, light towing and daily driving. For moderate to extreme power applications, heavy towing or competition use, call ATS to discuss which transmission package would fit your application. All ATS transmission packages come backed with a 5 year / 500,000 mile warranty.